1. beat the egg yolks and cream of tartar til light & fluffy. 2. 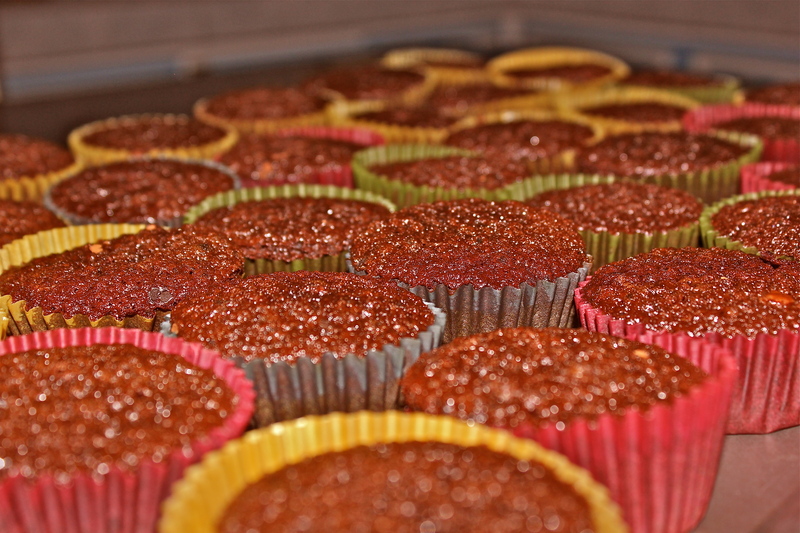 In a separate sauce pan, dissolve the sugar in water until mixture becomes ‘thready’. 3. Beat the egg yolks and tartar in full speed while pouring the dissolved sugar and water mixture. 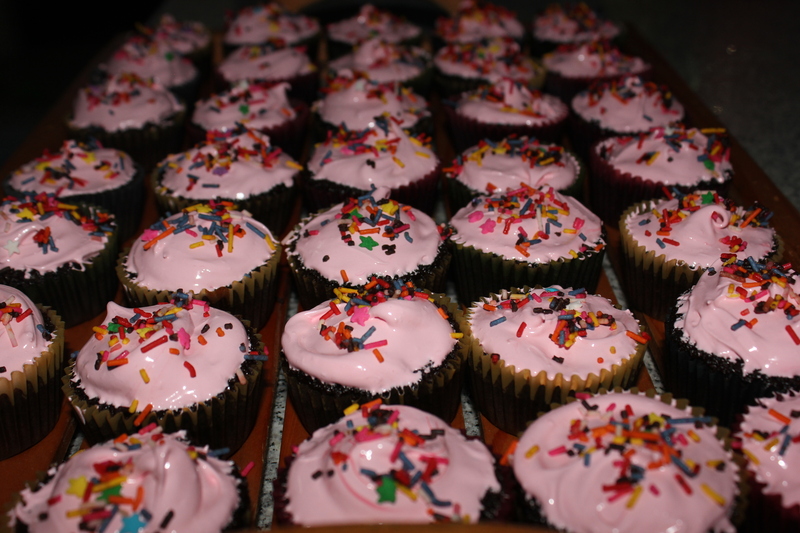 I hope you enjoy these delicious cupcakes! Happy Holidays! So I recently got my Canon Kissx4 and decided to take some shots. I went over to the pond and the sunset was just amazing… reminded me of The Lion King scenery. Hakuna matata! what a wonderful day, indeed! I found this book very helpful in regards to hammering the right skills to produce an effective written communication. 1. The ‘Madman’ brain-storms – this is where all your creative juices flow by scribbling and doodling, you allow your mental powers to use its full ability to think creatively without judgement. 2. The ‘Architect’ organizes relevant ideas into an outline. – In this mode, you start organizing ideas, linking words, phrases, sentences wherever you think they best fit to create a sensible idea. 3. The ‘Carpenter’ adds structure in the form of sentences. -generally after organizing, you begin to form the smaller parts/ideas that support your main idea to elaborate more. 4.The ‘Judge’ rules on grammar and style. – this is where editing comes in. You correct and polish the writing to make it more attractive to the eyes of your reader. I highly recommend this book to Managers, Writers, Editors, Bloggers. I purchased this very special book on eBay. I was looking for some Psychology books to be used as reference for my Psychology class. I stumbled upon this and read it’s summary as posted by the seller. I automatically fell in love with it and bought it right away. It’s actually a second hand book, a Christmas present for the seller. How did I know? I received it and on the first page there was a note written: “Merry Christmas Sherri”. And even before this, As I opened the packet containing the book, I got a note from Sheila saying that this book is truly special and as if saying, I am passing this onto you because I believe you need it more than I do so please take good care of it. It did feel truly special and I consider myself lucky for owning this book. First, for its sentimental value and second, for it priceless content. Now let me tell you, this book came in perfect timing. I felt like i was stuck in a rut. I wanted a change in my life in a good way. I needed to know what my purpose was and where I should be going. I often asked God to give me a sign or reveal to me my purpose. I prayed so hard every night for God to help me find my way, to show me which path to take and to reveal this to me at the time he thinks I’m ready. So he did. He sent me this book. He made me realize that each individual is a unique one and that I should learn to accept what God has planned for and not force what I planned for my self on selfish motives. It was quite difficult because I wanted things that would provide my own happiness, and not for God’s satisfaction. It felt as though he was pushing me to take the road I never wanted to take. Year after year, I did things my way and lost track. I lost myself. Had I listened to God, then I would not be in a desperate cry for help. Now, don’t you worry. I will not go on preaching. I will share with you something I have learned. Something extremely thought provoking and demystifying. Because I have not yet finished reading the book, I will be posting some lines.. feel free to follow and post comments, reactions, thoughts regarding each line or anything that has caught your attention. ..Sooner or later something seems to call us onto a particular path. The soul of each of us is given a unique daimon before we are born, and it has selected an image or pattern that we live on earth.This soul -companion,, the daimon, guides us here; in the process of arrival, however, we forget all that took place and believe we come empty into this world. 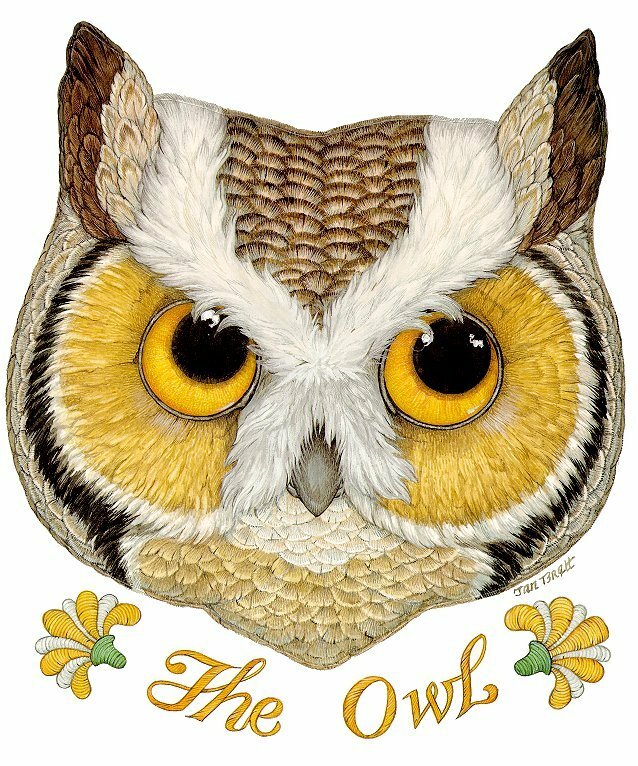 The daimon remembers what is in your image and belongs to your pattern, and therefore your daimon is the carrier of your destiny. We must attend very carefully to childhood to catch early glimpses of the daimon in action, to grasp its intentions and not block its way. c) find the common sense to realize that accidents, including the heartache and the natural shocks the flesh is heir to, belong to the pattern of the image, are necessary to it, and help fulfill it. Edgar Wind is the greatest scholar of the Renaissance imagination. Thought to ponder on: If the exceptional is the more comprehensive category, then we may comprehend more, by studying an extraordinary person, about the deeps of the human nature than by studying even the largest sample of accumulated cases. A single anecdote lights up the whole field of vision. 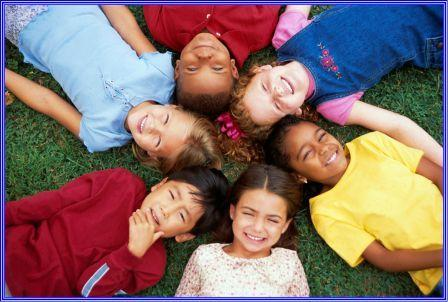 We may see disturbances in children less as developmental problems than as revelatory emblems. During early life, the children and the daimon often are taken to be one and the same, the child absorbed by the genius, a confusion which is understandable since the child has so few other powers and the daimon comes with so much. Then the child is set apart as exceptional, special, a prodigy- or as a dysfunctional troublemaker, potentially a violent criminal, to be tested, diagnosed, and weeded out. Could we begin to look at children with this vision in mind? Let us exchange the term “abnormal” for “extraordinary” and let the extraordinary be the vision against which our ordinary lives are examined. Should we choose to embrace each one’s individual differences, gifts, extraordinary behavior… then society shall accept what is beyond normal and set aside flaws. THE ONE ON LIFE. THE WHY’S AND HOW’S. NOTE: You may have noticed I’ve been using the term daimon a lot. “Daimon” as Plato and the Greeks call it is otherwise known as “Genius” by the Romans, “Guardian Angel” by the Christians, “Heart” , “Spirit”, “Soul” as we use these terms today. By looking at ourselves as examples of calling, at our destinies as manifestations of a daimon, and at our lives with the imaginative sensitivity we give fictions, we might put a stop to the worry, the fever, and the fret of searching out causes. Like dogs chasing our own tails, we are bedeviled by the “why” question, which conjures up its twin, the devilishly “how” – how to change. The pursuit of happiness becomes the pursuit of answers to the wrong questions. Happiness is about being contented with what you have. It is a choice. It is an attitude you choose to live by. Do not change who you are or what you want to be. Create the person you want to be. Don’t let other people persuade you into being the person you’re not. Don’t live by someone else’s rules. LIVE YOUR LIFE. Like cures like: A theory of life must have a base on beauty if it would explain the beauty that life seeks. Venerable and articulate and completed. 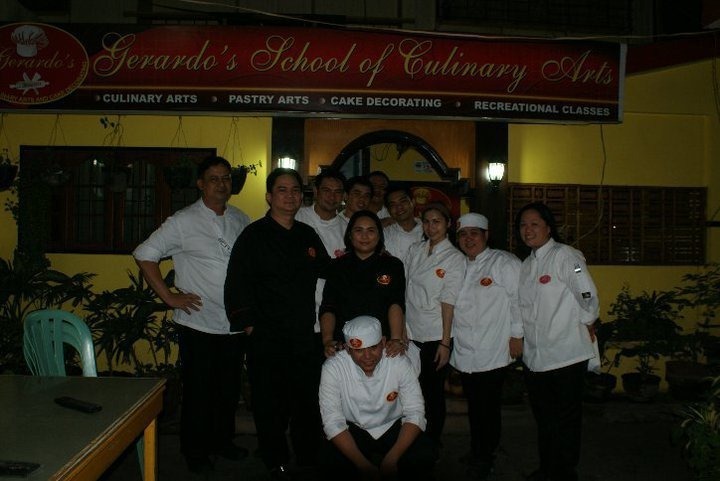 As part of Batch 11, I take pride in being part of Gerardo’s School of Culinary Arts, General Santos City. It has gained recognition over the years. Just a bungalow structure, silently drawing attention to it’s excellence of service. 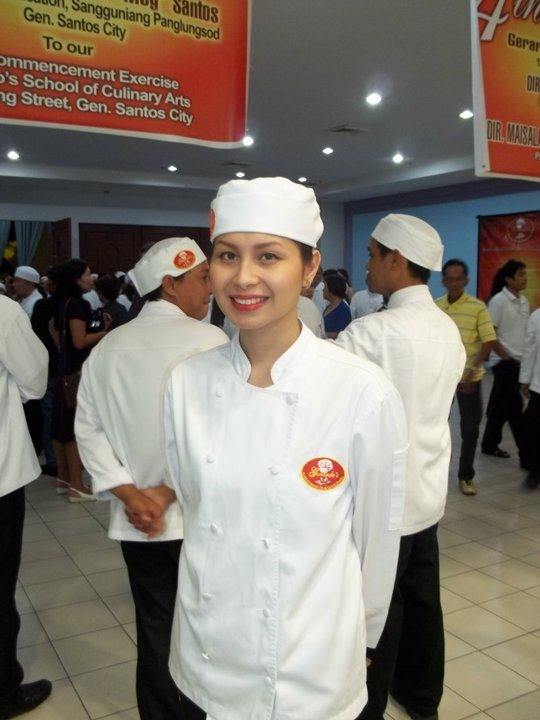 As the saying goes, “Small but terrible!” Who would have known that a culinary school existed in GenSan? 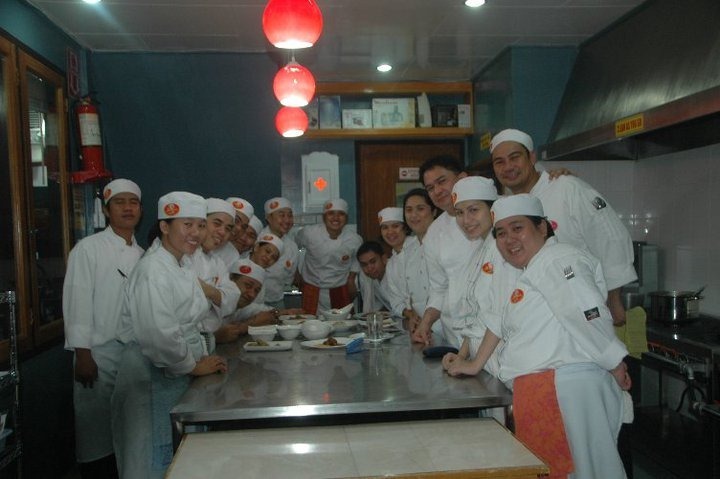 It’s profound ability to generate professional chefs is now recognized in the local industry as well as abroad. Word has spread like wild fire! Contagious as it is, almost everyone has experienced it. Professionals such as Doctors, Lawyers, Businessmen and whoever they may be has indeed endured the nearly 3 month intensive fast track culinary sessions led by husband and wife Chefs Gerardo and Faith Arbis. Our class consisted of 18 students all from the age range of 19-50+ . Some working, some have established businesses, some students and some just bums (excuse my term)- either thirsty to feed their interests, thirsty to work abroad or thirsty for a calling. Our mentors were wise beyond their age, strict when it came down to business but also friendly and accommodating. 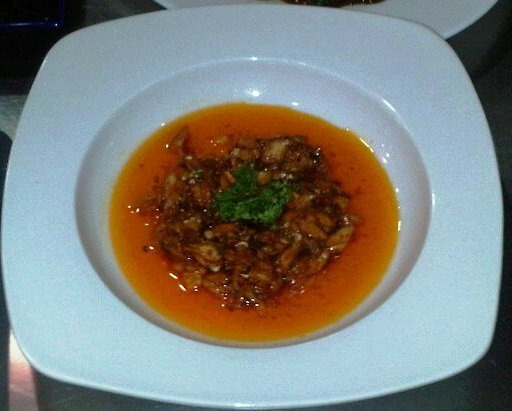 I, being a complete idiot in the kitchen, was now cooking different cuisines and have even gained positive feedbacks in one of our on-the-spot challenges : To make a five star dish out of a Scald fish. Thank you very much. I’m actually quite happy about it as I never (not even in my wildest dreams) expected that I was capable of creating such a dish. I swear it is absolutely not the best in the world- but a positive feedback from Chef Gerry is a trophy to me! All these priceless memories are kept a worthwhile experience which I will forever hold dear. I’d like to share with you some my photos with my fellow kitchen comrades. I hope that you too will find that hidden talent and develop it just as I have. You will never know what your good at unless you try it. Once you find your passion, develop your skills, work hard and you can achieve whatever it is that you want for your life. Last May was our annual graduation… fellow student Chefs from different batches were there as we all celebrated and exchanged our caps for an official chef’s toque. Here’s to everyone who graduated! Cheers to us! May we continue to live up to the code of professionalism and exemplify quality service and excellence! My FIDA Experience: A 3 day workshop on basic make-up! 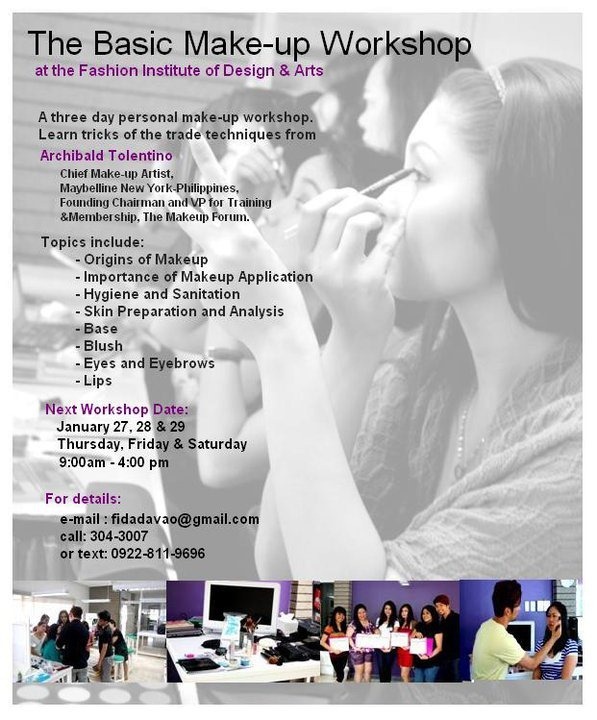 Fashion Institute of Design & Arts, Davao held a 3 day workshop on basic make-up artistry last March 2010. I was one of the ones who attended. Simply because I wanted to learn about the art of make-up. Aside from that, I was even more excited to learn that Davao had indeed finally put up a fashion school. I travelled all the way from General Santos City to Davao. As I entered FIDA, I was greeted by the receptionist with a warm smile. I looked around and my first thought was “Wow! It’s so pretty in here!” The walls were White and Purple, with glass doors, and dainty interiors. It was truly inviting! She pointed to a glass sliding door that led us to a huge purple room with white dressers that had light bulbs surrounding the mirrors. In each of our dresser, there was a pack of brushes and materials given for free to be used later on. I brought my own set of 24 pieces of brushes and make-up as well. The class was headed by Chief Make-up Artist Archibald Tolentino. We began our class with an Introduction of course. Archie is Chief make-up artist of Maybelline Philippines. He has been in the industry for years and has earned a reputable name and career. On a table beside him, he had a number of kits containing all the cosmetics you could find (as in everything!). Why should we care about the face? Because our face is the most exposed body part other than the hand. 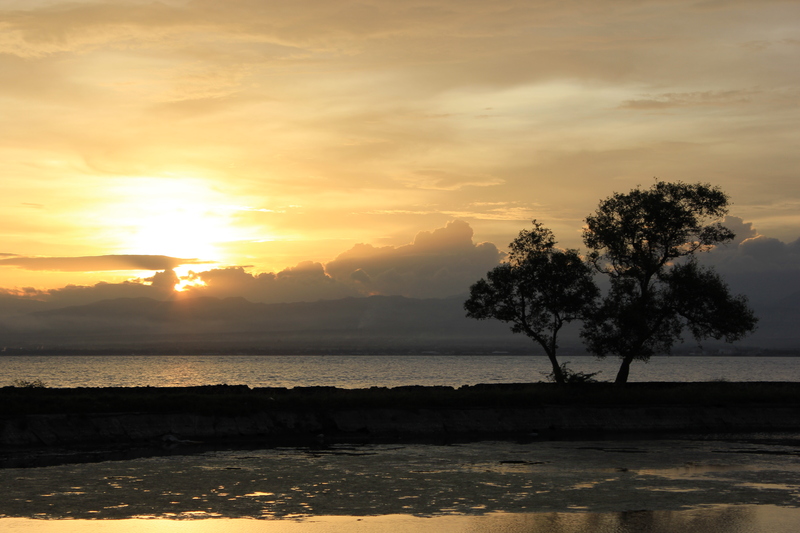 When we walk outside, the face is exposed to all kinds of toxics such as pollution and the sun’s harmful UV rays. Even just by putting make-up our face absorbs all those chemicals. Fact is- the face is the most sensitive part of the body. We must always make an effort to keep it clean and hydrated. TRIVIA ALERT: In Japan, we wonder why even at age 40 they still have that beautiful skin. Here’s why: as early as the age of 16, they start applying anti-aging moisturizers on their face and are very religious about it. As they age, their skin becomes susceptible to it. Normally, at age 25 our skin starts to age and that’s when we supposedly apply anti-aging moisturizers. But, it would be smart enough to start as early as you can! Now moving on, before putting on cosmetics you need to keep in mind that you should always start with a clean canvass. Given: the face is the canvass and you are the painter. Painting on a used canvass is not only unhygienic but also results to a sloppy and negative effect. These are pre make-up essentials you need to have in your kit. It is very important that you apply these before putting on powder (pressed or loose) and anything else. You will see that right after you have followed these steps, you will have a plump and fresh skin giving its natural glow. You will also notice that your make-up will not cake and you will find your make-up staying on for a longer period. My recommendations are simply my personal choices. You can always opt for something different. There’s a huge variety of cosmetic brands out in the market that you can choose from. You can also go over the counter in any drug store and get inexpensive cosmetics just as you know that they work for you. I can’t wait for yet another class or workshop! Forgive my busy schedule, I hope to join FIDA soon!